Various thicknesses of bolted and welded assemblies can deform or distort. This is caused by the heating and cooling variations of the parts. 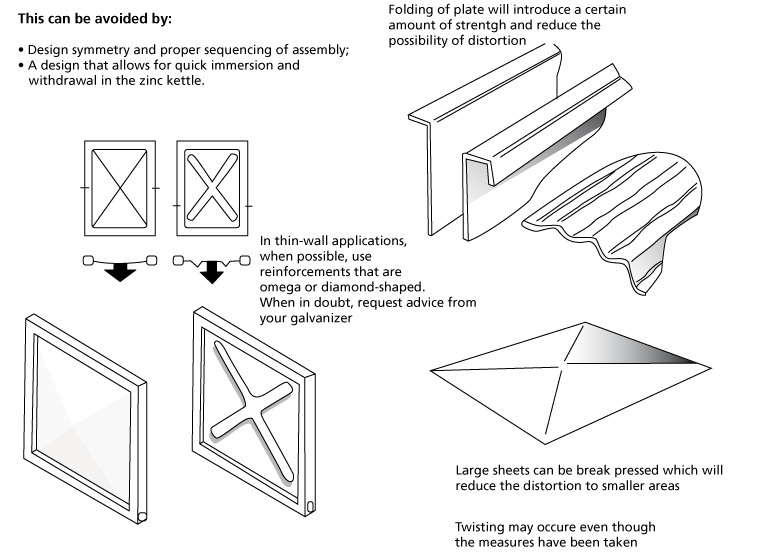 It is recommended that these structures be galvanized prior to assembly. Assembly can then be completed by welding and reconditioning or by means of bolting or riveting with pre-galvanized hardware. Distortion can also occur during the release of welding stresses in the kettle. Therefore, proceed with welding while observing the guidelines to balance out these stresses. Assemblies requiring different steel thicknesses or grades.